HEADS-UP: $125 Amazon giftcard giveaway at the end of this post! 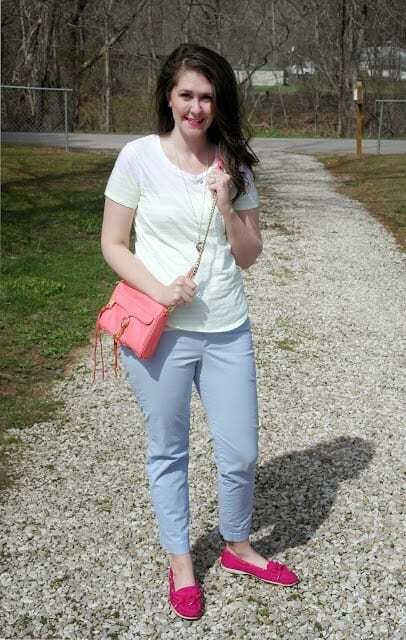 For date night, I like to pair these pants with fun bright colors to contrast the pastel color of the pants. When mixing neons and pastels, I think it’s important to feature one (either neons or pastels) as your anchor color and the other as your accent color(s). Also, mix in some summery white to really make the colors pop! If this outfit looks familiar, it’s because I recently featured it a couple of weeks ago. You can get full outfit details here. 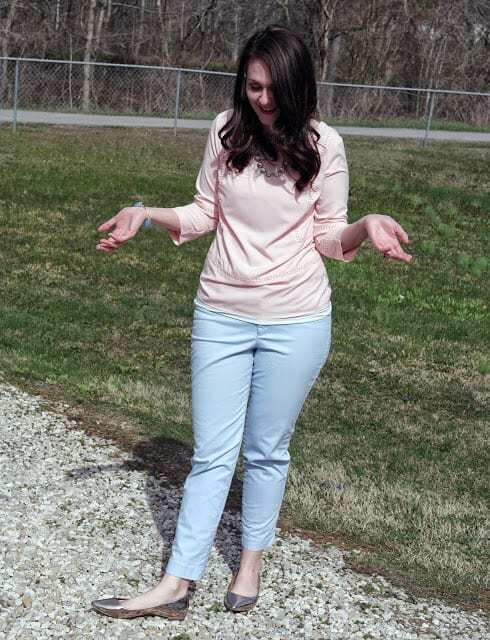 To switch the outfit over for a more office-appropriate look, I swapped out the casual tee for a soft pastel shirt in a dressier material. 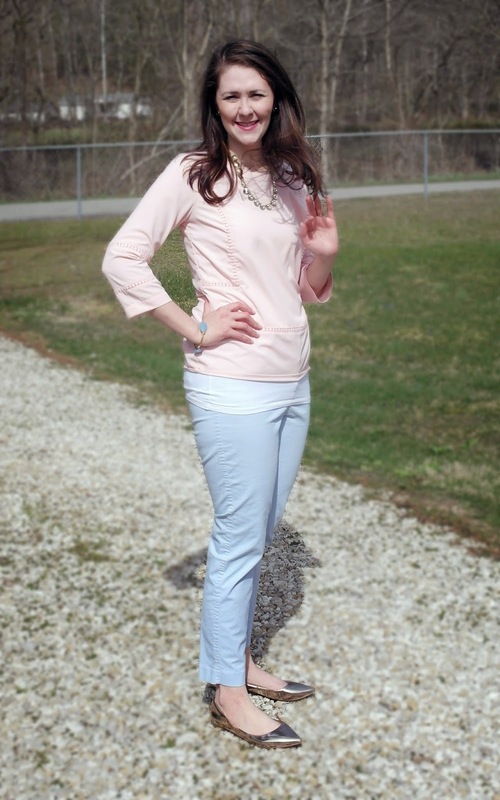 The matching soft pastels give the outfit an overall elegant look. I also switched the shoes out for these shiny, pointy-toe flats from J. 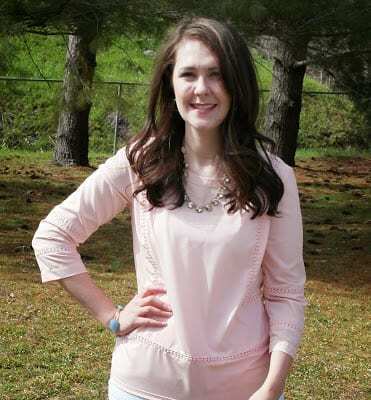 Crew Factory to carry through the outfit’s classy feel. Now, on to the good stuff. 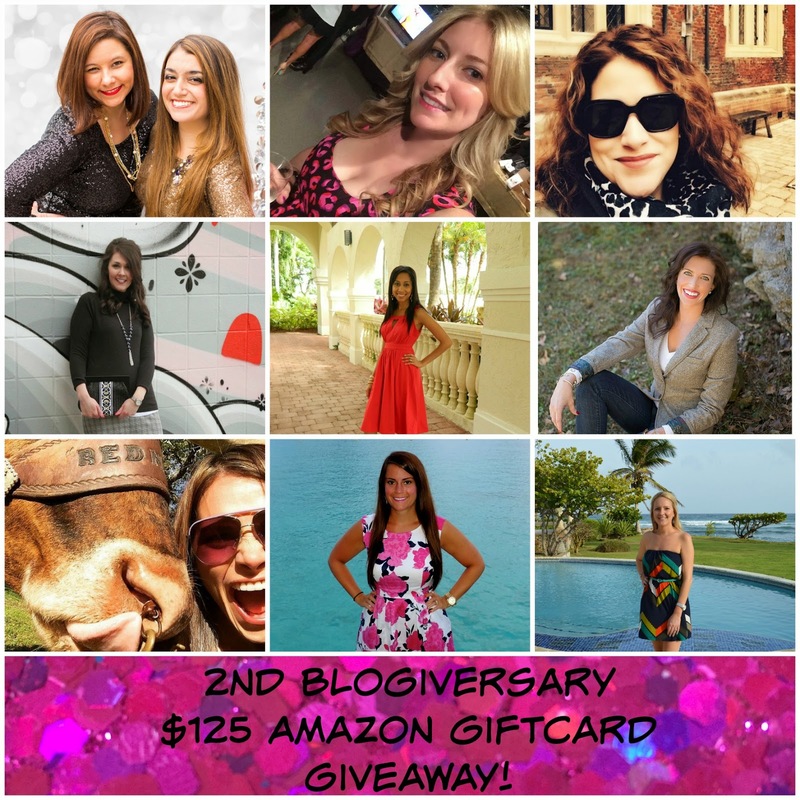 My sweet friends M + B over at the Sequin Notebook are celebrating their 2 year blogiversary! 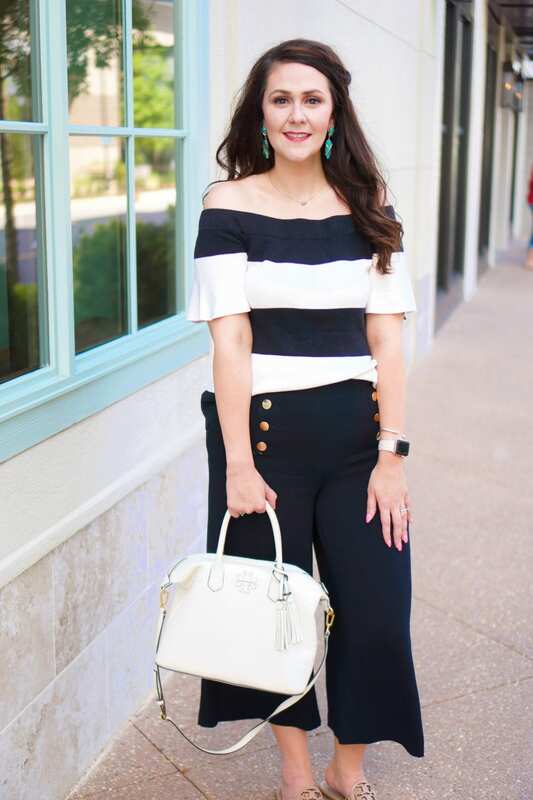 Happy blogiversary, gals:) So for the next week, I am teaming up with a fabulous group of bloggers (including some H54F regulars!) to give away a $125 Amazon gift card to celebrate this milestone! Enter via the Rafflecopter below and be sure to give all of these gals some love by following each of their links – after all, every link is one entry closer to winning! The giveaway will run from now until midnight on May 12th – good luck gals!